Helen M. O’Connor passed away August 23, 2018, at the age of 87. She was born December 24, 1930, to Joseph H. and Oma R. Taylor in Plattsburg, MO. In 1948 she married Donald F. O’Connor and they have a daughter, Jimalee. Helen was preceded in death by her parents; sisters, Emma Lou Taylor and Oma Jo “Jody” Kipper; brother, James H. Taylor; and brothers-in-law, Thomas Kipper, Thomas O’Connor, Thomas Broderick. She is survived by her husband of 70 years, Donald; their daughter, Jimalee O’Connor and husband, Loren “Junior” Ross; sisters-in-law, Beverly O’Connor, Loretta Broderick, Juanita (Jim) Thornton, Charlene (Emerson) Swope, Peggy (John) Evans and Debbie Taylor; as well as many nieces and nephews. 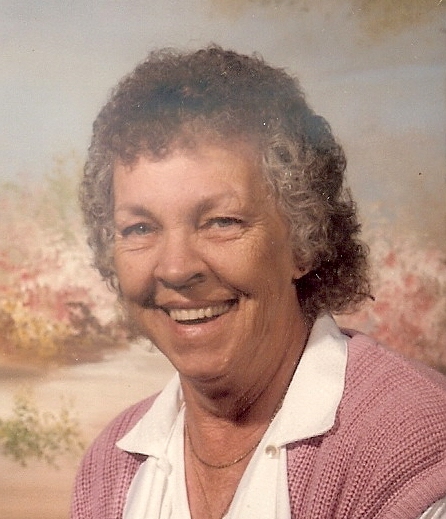 Helen was a housewife, mother and bookkeeper for their trucking business. She also worked in Plattsburg at the dry cleaners, appliance store, Oakridge, and Bert and Ernie’s. Helen’s dad taught her to love the outdoors and fishing. She loved her pets, which included a pet pig, a green parakeet named “Kelly”, as well as several dogs and cats. She enjoyed mushroom hunting and bird watching. Helen worked hard to take care of her huge yard and make it a beautiful park-like setting. She was a Catholic. Helen enjoyed helping her daughter with school and extra-curricular activities, especially coaching her high school softball team, and was always welcoming to all her friends. Helen had many happy family trips in the last several years to Branson and Texas. The Rosary will be prayed at 9:30 am, followed by visitation until 11:00 am, and Mass of Christian burial will begin at 11:00 am, on Saturday, September 1, at St. Ann Catholic Church in Plattsburg. A lunch will follow Mass in the parish hall. Cremation with burial at Calvary Cemetery at a later date. In lieu of flowers, memorials are suggested to the Calvary Cemetery Association, c/o Dan O’Connor, 814 NE 288th Street, Turney, MO 64493 or may be left at the service.